For those of you who have been following this blog, you know that I having been posting Thailand golf articles around 3 times a week for the past one and one half year. Well this past week , as you must have noticed, I was totally silent and I bet you wonder what happened to the Thailand Golf Zone and it’s author, me. Well last week and for the first time in years my family and I took a real vacation. Not one of those to visit family or a long weekend, but a real holiday. Not only that, it was a golf vacation, my first in over 5 years and since moving to Thailand. You see when I had the good fortune to get invited to the Air Mauritius Golf Classic 2007 by Scott Edkins at Greenside Golf in South Africa; I jumped at the opportunity and made it a family affair to boot. 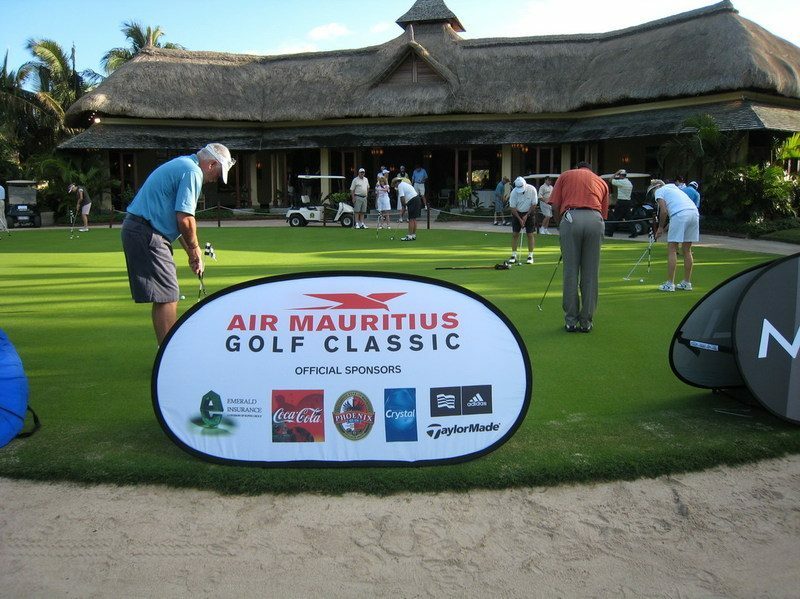 The golf tournament took place over 4 rounds and included some of the most spectacular golf courses in Mauritius. Golf quality at Golf du Chateau and Tamarina was comparable to Thailand’s best, such as Thai Country Club and Blue Canyon. Even the grasses used were the same latest Sea Isle Paspalum varieties imported from Australia that are found at Thailand’s new courses like Red Mountain in Phuket and Black Mountain in Hua Hin. As you can see in the photo the surrounding scenery was noting short of breathtaking. This combined with sunny weather and daytime temperatures in the mid-20’s (centigrade) made for perfect golfing conditions. One thing for sure is that the golf was great! However, comparing Mauritius golf with golf in Thailand really makes me appreciate how lucky those who golf in Thailand really are. Besides having many more choices of golf courses in Thailand (over 250 compared to 8), Thailand green fees are also more economical, playing without a caddy made golf a chore (I guess I am spoiled by the Thailand caddies), and outside of golf there was practically nothing to do on the island. Overall, it was a great golf experience, but nothing in comparison to a Thailand golf holiday. Now that I am home, I will continue my great golf architects in Thailand series of articles. Stay tuned!